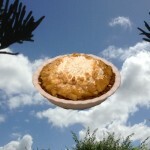 Dr. Rick Flanders Revival Ministries » A Pie in the Sky? 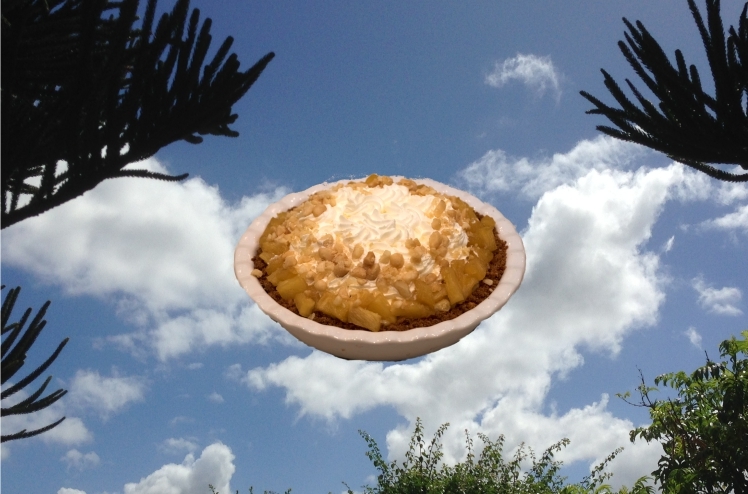 Socialists have long accused religion of offering “a pie in the sky by and by” as a way of distracting and pacifying those who suffer under capitalism, thus keeping them from rising up in insurrection. The phrase (which has moved into our general conversation in reference to things other than religion) comes from a folk song, titled “The Preacher and the Slave,” which was written by a radical revolutionary named Joe Hill a century ago. He was echoing the charge of Karl Marx that “religion is the opium of the people.” The far Left has long regarded religion in general, and the church in particular, as supporting the interests of the rich (who, they say, control religion) by mollifying the discontent of workers using vain promises of heavenly rewards for those who will not make trouble for capitalists. The ironic fact, however, is that it is socialism, and not Christianity, that promises rewards it never delivers. Every one of the other utopian colonies set up in America and abroad in those days (such as those in Nashoba, Tennessee; New Philadelphia, Pennsylvania; Fruitlands, Massachusetts; and the Oneida Community in New York) failed for the same reason. Human nature makes successful communalism impossible. And government-enforced collectivism must always become oppressive. The communist revolutionaries who overthrew the monarchy in France gave the French the Reign of Terror and a corrupt dictatorship, instead of the liberty, equality, and fraternity it promised. All of the revolutions inspired by Marx and Engels ended badly, and certainly not in the Workers’ Paradise they convinced people they were creating. Look at the miserable histories of the Soviet Union, China, Cuba, Romania, Czechoslovakia, Cambodia and East Germany. See how socialism sucked the very soul out of these once-great nations, and put them under the rule of terrorists who murdered great numbers of innocent people. The history of the past two centuries seems to prove that if politicians promise Heaven on earth, they will give us Hell on earth. In Europe and America, socialism and communism arose in response and opposition to the gospel preached by evangelical preachers in the churches and revival meetings. The Gospel of Jesus Christ comes to us as good news in contrast to the bad news that all men are sinners and justly condemned before God for our sins. The good news is that God loves us and sent His Son on a mission to rescue us from the power and consequences of our sins. Jesus died on the cross “for our sins, according to the scriptures” (First Corinthians 15:1-3-4), and God “raised up Jesus our Lord from the dead; who was delivered for our offenses, and raised again for our justification” (Romans 4:24-25). Sinners who come to Jesus for their salvation and trust Him to bestow the grace of God upon them will receive eternal life, and a new life of peace and hope, and also the promise of Heaven. They will not be condemned because Jesus paid for their sins (John 5:24, Romans 8:1). They can live triumphantly because He arose the Victor over sin and death. Preachers of the socialist gospel say that the evil present in human society does not arise from the human heart or the fall of man in the Garden of Eden, but rather is generated by the way we operate the economy. Capitalism, they proclaim, creates evil. Suffering and injustice come, not from our innate sinfulness and our need of the Savior, but rather from the selfishness and oppression that is part and parcel of our economic system. Our need is not for Jesus, but for a new economic system. We need to devise and implement some system of collectivism and force it upon our society. Private property and free enterprise are the enemies of the good, and must be crushed by a socialist revolution and communist-type government. Things will be better for everybody, they say, soon after the socialist gospel is believed and accepted. But all of the nations that have received and implemented socialism, expecting the pie that was promised, are still waiting for it to come out of the oven. Socialist rulers rise to power by offering empty promises that desperate people accept. Whether it was Lenin or Stalin or Hitler (who called himself a “national” socialist) or Mao or Pol Pot, every socialist dictator gained absolute control over his people by promising them the pie in the sky, which he never produced. This is true also of less vicious rulers who have gained power with the same vain socialist promises. Socialism in any form has never worked. It doesn’t share the wealth, but only the misery. It is never a movement of love and compassion, but always a movement of hatred and envy. It is a false gospel that has been proven a lie over and over again. And the revolutionaries of our day in our country still sway people by promising the pie that never materializes. The sinner who comes to Jesus for everlasting life receives immediately a new life that satisfies him forever. Just ask a born-again Christian if all He got in Jesus was a promise of something after he dies. He will tell you that the need of the thirsty soul is fully and forever satisfied the moment he turns to Christ for salvation. It happens every time, in this present life, because Jesus came that men might “have life, and that they might have it more abundantly” (John 10:10).